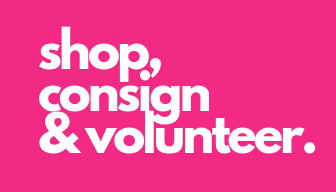 Have you always wanted to consign but just can’t find the time? Let us help! Valet Tagging Service is here to make your consigning easier! They’ll hang, price, tag, and deliver your items to be sold at Tiny Tots Consignment Sale with a $15 supply fee. Leaving time for you to drink coffee and relax at home while earning 40% of your total items sold. The DEADLINE for participating in this program is 3 weeks before consignor drop-off begins. You still get a good chuck of the money for just sitting back and relaxing! VALET MOM RECEIVES 2 PASSES for the CONSIGNOR PRESALE. VALET Moms who use the tagging service are still welcome to Volunteer and get to shop the Volunteer PreSale. Pay a $15.00 supply fee. Paid IN CASH at the time your items are delivered to the tagger! This covers cardstock paper, safety pins, hangers, zipties, ziploc bags, and other supplies that are needed. PLEASE NOTE: Tiny Tots is not involved in any way with VALETs other than referring them to a tagger and is not responsible for any issues that may arise. You are entering into a relationship with the tagger herself. We are simply offering to connect busy moms who don’t have the time or desire to prepare their items with other moms who do. Tiny Tots is not compensating the taggers in any way. Although we will cut them a check, the money they are paid comes from your earnings. The cutoff date for using the Valet Tagging Service is still August 20th or until spots are full. IF YOU WOULD LIKE TO PARTICIPATE IN THIS SERVICE, START HERE. Start by Registering to Consign HERE. You will not need to sign up for a drop -off time since your tagger will be doing that for you. Space is limited. Send us an email hi@tinytotsconsignment.com IMMEDIATELY AFTER REGISTERING letting us know that you have registered and want to be a VALET at least 5 weeks prior to the Tiny Tots Consignment Sale. You will get an email/phone/text from a VALET tagger and schedule a drop off time (Free). Gather your freshly laundered items you want to sell. As a guide use the ‘What We Can Accept?’. Quality: You know when little Johnny spilled ketchup on that sweater, we don’t! Please check for stains: Especially on cuffs, necklines and fronts of items, for tiny holes, missing buttons and non-functional zippers. All clothing/bedding should be freshly laundered and neatly folded buttoned and/or zipped. Shoes should have minimal wear and be very clean especially on the soles. Baby gear and toys needs to be clean, wiped down, and ready to be tagged with all small party and accessories included in a marked bag. More than 8 items pulled for quality means an assessed $10. Please don’t do that, since the taggers would rather save the time spent pulling items, and save you the money! Put your goods into large bags bags and write your name clearly on the many bags to be sold! Schedule a drop off time (Free up to 2 drop-offs) with your tagger. Your items will be priced according to the condition and the brand at the VALET Taggers discretion based on our Pricing Guide. Tiny Tots Consignment Sale will send you your check. * VALET Taggers, at times, cannot accept large items at this time like furniture, changing tables, beds, big toys, etc.! These large items can still be consigned, no problem! The taggers can enter them into the Tiny Tots Consignment Website, as long as you deliver to the sale site. VALET Tagging requires a minimum of 50 items to reserve your spot! **VALET Taggers want to sell your goods. And quality SELLS. Any items that do not meet our standards will automatically be donated. VALET Taggers CANNOT guarantee that all items tagged will sell and are NOT responsible for any loss or damage that may occur at the sale. ***VALET Taggers are your partner and is not employed by Tiny Tots Consignment Sale Company.